RMLA thanks its sponsors from 2018 as listed below. Keep an eye on this space for opportunities for 2019. 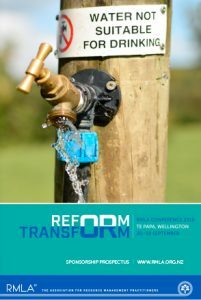 RMLA thanks all the 2018 Reform or Transform Conference sponsors. Buddle Findlay has one of the largest national resource management teams in New Zealand across our 3 offices in Auckland, Wellington and Christchurch. We have a particular focus on consenting large infrastructure projects and advising on RMA policy and planning processes, and we have specialist expertise in Māori law and working with Iwi through RMA processes. Buddle Findlay is known for our strong working relationships with our clients and their other consultants, and for our collaborative and solution-focussed approach. Our practice also includes conservation law, as well as advising on central and local government processes. Boffa Miskell is a leading New Zealand professional services consultancy with offices in Auckland, Hamilton, Tauranga, Wellington, Christchurch, Queenstown and Dunedin. They work with a wide range of local and international private and public sector clients in the areas of planning, urban design, landscape architecture, landscape planning, ecology, biosecurity, cultural advisory (Te Hihiri), graphics and mapping. Over the past four decades they have built a reputation for professionalism, innovation and excellence. During this time, they have been associated with a significant number of projects that have shaped New Zealand’s environment. Established in 1981, Bentley & Co. is a leading Resource Management consultancy, providing services to private and public sector clients, New Zealand-wide. At Bentley & Co. we’ve built our reputation on attention to detail, strategic thinking and straightforward, no-nonsense advice. With in-depth experience and expertise in a broad range of sectors, we’ll tell you what you can achieve, and make it happen. At the forefront of every project is planning. So whatever aspirational projects you, your community and other stakeholders have in mind, we’re here to help you through the process. We offer a comprehensive planning service with more than 30 specialists based across New Zealand. Our team of experts are trusted advisors to Government and non-Government organisations, Councils and private enterprise. Outstanding people working together at the forefront of planning, we are committed to delivering exceptional outcomes for our clients. WAS is a leading New Zealand manufacturer of up cycled billboard products for retail and corporate clients. We have a commitment to providing high quality and unique products from discarded and disused materials including car and bike inner tubes, coffee bean sacks and clothing. WAS has manufacturing expertise, processes and solutions for a broad range of promotional and retail products including a range of fashion bags (satchel, mini satchel, laptop and clutch bags). Other merchandise includes compendiums, outdoor and indoor beanbags, seating and other customised promotional products. WAS specialises in custom work and producing small quantities of products. This is unique to the promotional products industry as the majority of promotional products are made offshore and commands high minimum orders of standardised products. WAS celebrates the fact that beyond their initial use, all materials have a history and life that may be cherished and developed. Barker & Associates, specialists in all aspects of urban and environmental planning. Founded in 1997, B&A has over 30 planning and urban design staff operating out of Auckland, Whangarei, Warkworth, Napier and Christchurch. 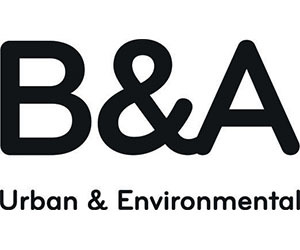 B&A pride themselves in providing timely, accurate and cost-effective planning and urban design advice to a diverse range of public and private clients. B&A keep processes simple and work collaboratively with clients and stakeholders nationwide and undertaking projects from major infrastructure to Villa restorations. Strong communities don’t just happen—they’re by design. They’re creatively imagined, collaboratively planned, and readied to face tomorrow with optimism. That’s why at Stantec, we always design with community in mind. We care about the communities we serve—because they’re our communities too. We’re designers, planners, engineers, scientists, and project managers. Drawing on disciplines across Stantec, we create solutions for our clients to assess, build and preserve connected, equitable communities and natural environments. Stantec (STN) trades on the TSX and NYSE. Brookfields’ experts provide comprehensive legal services to four main sectors – Public Sector, Environment and Resources; Business, Property and Finance; Litigation, Disputes and Employment; Private Client Advisory. This provides our clients with a ‘seamless’ package of legal services. When you need public sector expertise, Brookfields is the firm you want on your side. We have acted for the public sector, including central and local government, statutory bodies and educational institutes for over 150 years. We also advise private sector clients such as developers, investors, and business and property owners, on optimising their dealings with the public sector. 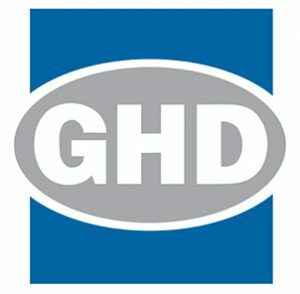 GHD is one of the world’s leading professional services companies operating in the global market sectors of water, energy and resources, environment, property and buildings, and transportation. Market Economics, (M.E) is an economic consultancy that serves clients nationwide. We specialise in understanding the interactions between economies, economic activity, socio-demographic patterns and land use. Our spatial and economic modelling capabilities provide independent evaluations and specific answers for our clients in relation to development, policy and planning issues, resource allocation and infrastructure funding and investment. We offer complete consulting services from strategic advice to resource consent and plan change reporting and expert evidence. A top tier New Zealand law firm known for providing clients with technically excellent legal solutions, MinterEllisonRuddWatts works alongside its clients as trusted advisors to ensure success. We are proud to be a New Zealand law firm offering a global outlook. Our offices in Auckland and Wellington are able to access an international network through the MinterEllison Legal Group, a leading firm in the Asia-Pacific. The firm supports numerous charitable endeavours and organisations through its pro bono and fundraising initiatives. Bell Gully is one of New Zealand’s leading law firms. Our Resource Management specialists advise on projects and issues that are reshaping New Zealand, from infrastructure, transport, land and commercial development to energy, natural resources, primary production and climate change. We have a reputation for being strategic, pragmatic, cost effective and for delivering results. We manage consenting and compliance issues, obtain regulatory approvals and advise on district, regional and national policy. We also advise on environmental liability issues, working with clients on immediate and long-term issues. Kensington Swan is a commercial and public law firm, with more than 100 lawyers operating in Wellington and Auckland. We work alongside our clients to understand what drives their businesses, and the sectors they operate in. We offer all the advantages of a large full-service firm, but our specialist teams operate like boutique practices. Our expert Environment and Planning team is familiar with all aspects of resource management and environmental law. We provide complete legal solutions tailored to each client, taking a responsive, professional and service-centred approach. We advise many significant national and international clients, among them major corporates, the New Zealand Government, and various agencies and state owned enterprises. Thomson Reuters is the leading provider of legal resource management and environmental information in New Zealand, publishing distinguished works Salmon Resource Management Act, Brookers Resource Management and Environmental Law in New Zealand. Thomson Reuters has been publishing and updating information on New Zealand law since 1910. Marshall Day Acoustics (MDA) is one of the world’s leading firms of acoustic consultants, providing the highest standard of architectural and environmental acoustic consulting. For over 30 years, we have been providing innovative acoustic designs, working on major projects in over 15 countries and employ over 80 professional staff in offices in New Zealand, Australia, China, Hong Kong, and France. Our services include environmental impact assessments, noise and vibration control, architectural acoustics, aircraft/traffic noise modelling, expert evidence and district plan reviews.